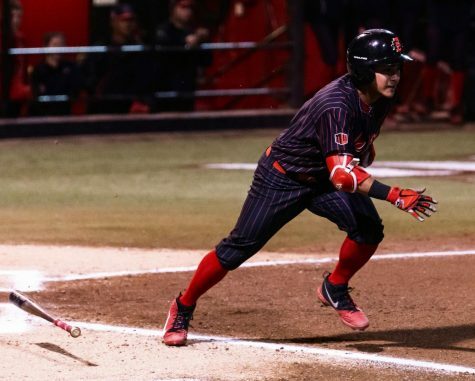 Sophomore infielder Casey Schmitt looks back while at bat during the Aztecs’ 5-1 loss to Texas Tech on March 5 at Tony Gwynn Stadium. 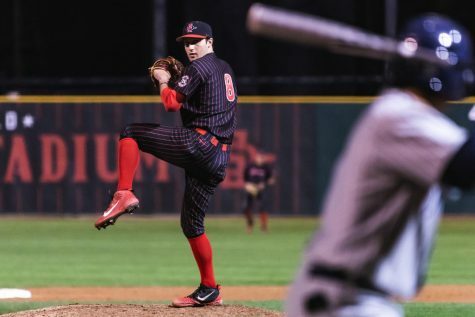 San Diego State baseball escaped being no-hit, but couldn’t escape defeat in its 2-0 loss against Fresno State on March 30 at Tony Gwynn Stadium. 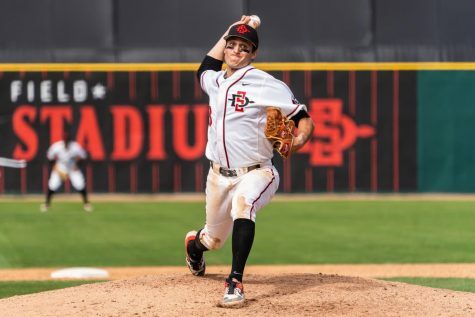 The Aztecs (14-12, 4-5 MW) were kept hitless by the Bulldogs’ (13-7, 4-4 MW) junior Davis Moore (5-0) through five innings. 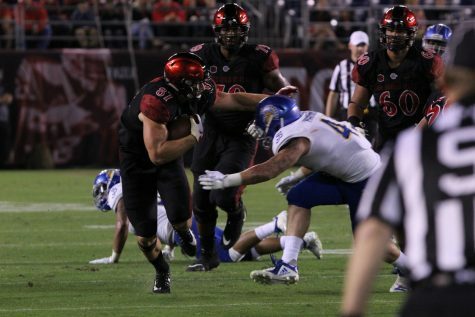 SDSU starting pitcher senior Justin Goossen-Brown allowed the only RBI of the ballgame after senior third baseman McCarthy Tatum’s fourth inning solo home run. Sophomore catcher Joe Fitzhugh’s ninth inning throwing error allowed junior catcher Carter Bins to score from third for the game’s other run. Sophomore left fielder Matt Rudick said the weight of the loss falls on the offense. Goossen-Brown (3-1) lasted seven innings and surrendered one run on Tatum’s solo home run. He limited the Bulldogs to four hits before he was pulled from the game. The senior tied a season high in innings pitched and set a season high of seven strikeouts in his outing. Goossen-Brown said the the solo home run he surrendered hurt his team. 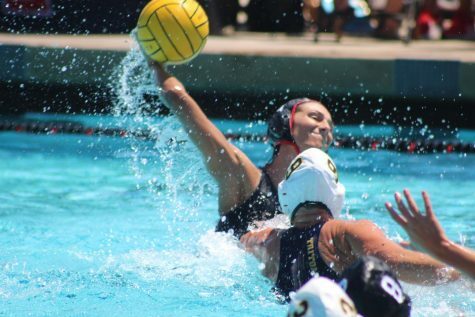 “Unfortunately I gave up that one and we didn’t get chance to win, but hopefully we come back better tomorrow,” Goossen-Brown said. Goossen-Brown said his teammates helped him keep the Bulldogs offense quiet aside from the home run. 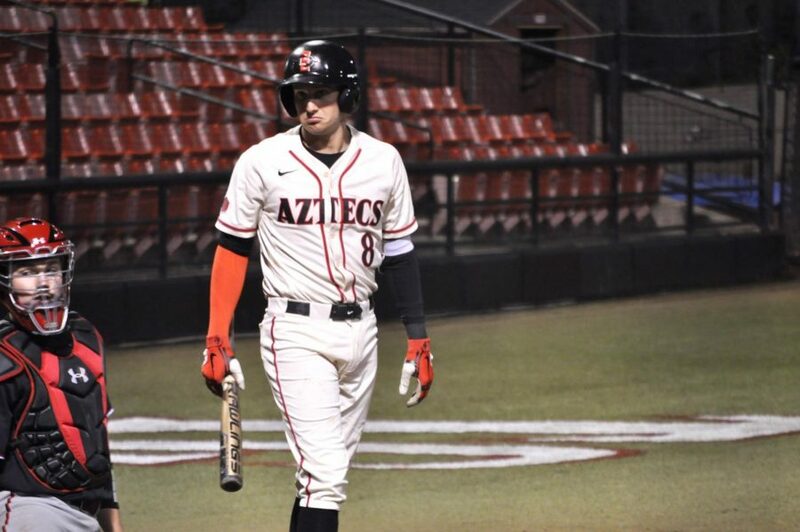 Senior designated hitter Chad Bible broke up Moore’s no-hit bid in the sixth inning with a single, but the Aztecs received just two more hits after that which came from Rudick and Fitzhugh. Rudick said the Aztecs need to be more aggressive at the plate. 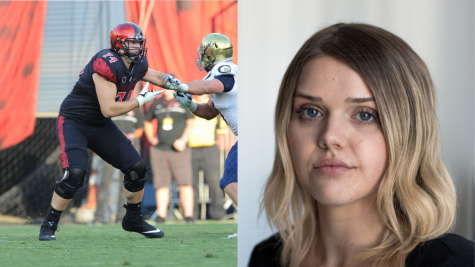 “I think we just need to be more confident up there. I think we’re not swinging at pitches that we should be and taking pitches that we shouldn’t be,” Rudick said. 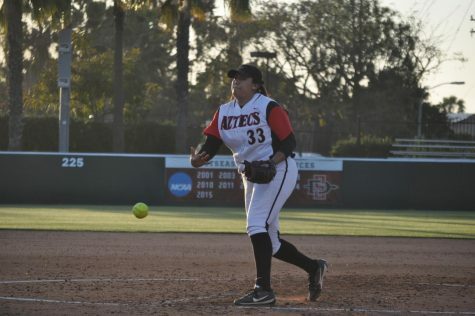 Since its March 24 loss at New Mexico, SDSU has had a .226 batting average as a team. Rudick said the team could benefit from coming to play with a better mentally. Rudick’s single extended his career-long hitting streak to 18 straight games. Rudick said he focuses on doing his part for his team. “I’m not trying to do too much. I don’t think about the hitting streak, I’m just trying to do my job,” he said. 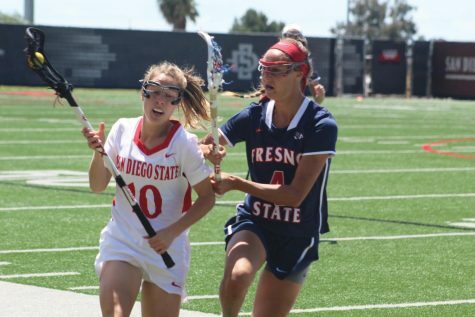 The Aztecs will look to avoid the three-game sweep in the series finale against the Bulldogs on March 31. Rudick said the team’s offense will look to build off of the loss before the series finale.